One overlooked feature of Photoshop is the ability to copy and paste layer effects and vector strokes and fills. These actions can be done via menus and keyboard shortcuts. The shortcuts aren't defined in the default settings, but can easily be added. Here's my suggestion on how to set them up. Here are two rectangles I've drawn in Photoshop. 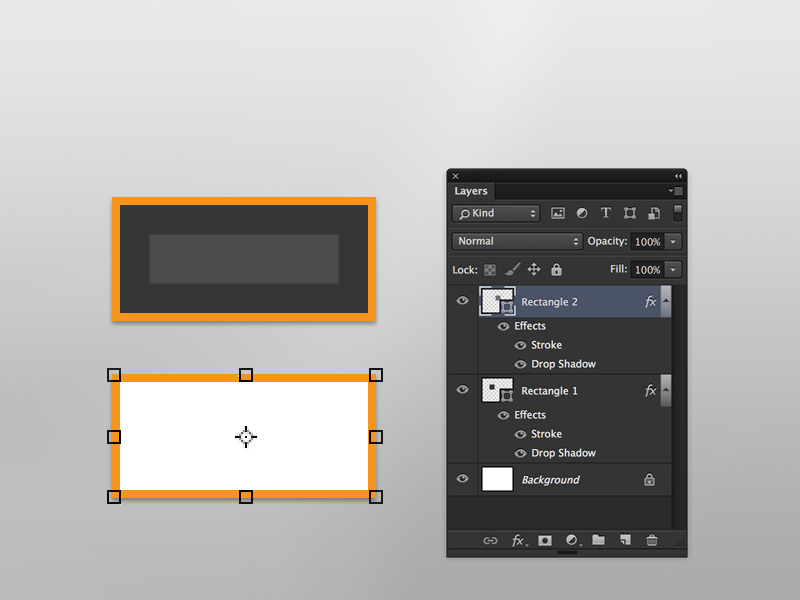 Rectangle 1 has an orange stroke and drop shadow defined by layer effects. Rectangle 2 has none. 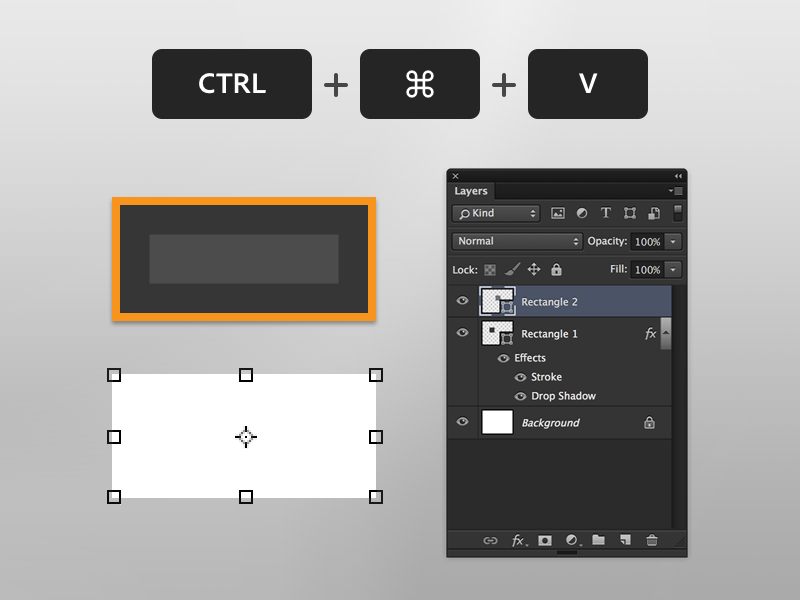 With the shortcuts defined, we can quickly copy the layer effects from one layer to another using only the keyboard. First we'll have to select Rectangle 1. Select the layer with the Layer Effects to be copied. Select the layer that the Layer Effects will be pasted onto. 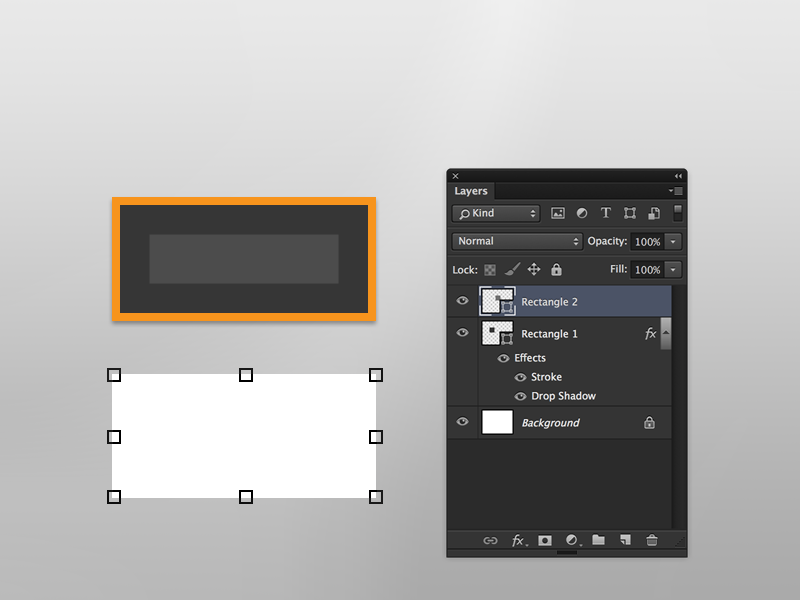 Rectangle 1 and 2 now have the same Layer Effects applied to each shape. 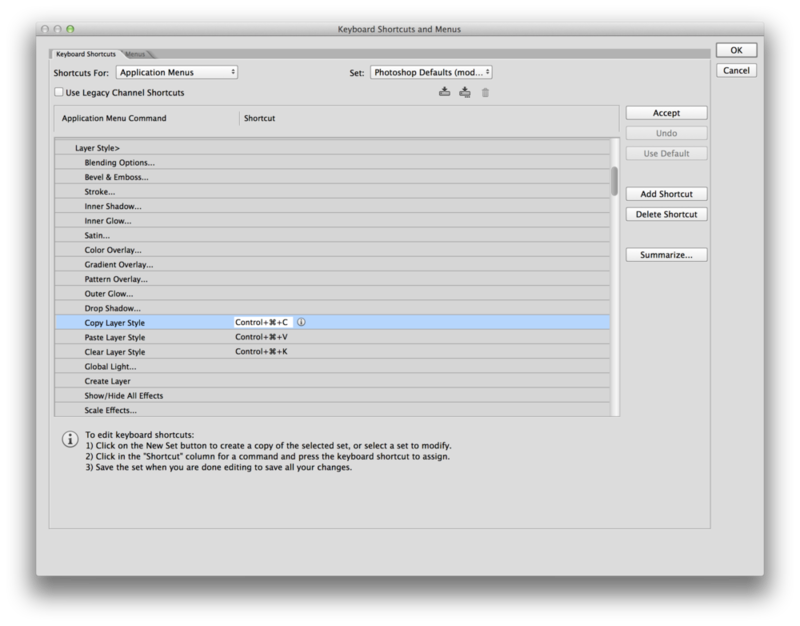 Clearing layer effects with the keyboard command deletes the effects from the layer. We can also Option+Drag effects between layers to duplicate effects quickly, but the keyboard shortcuts allow us to work without digging through the layers panel. Keyboard shortcuts, combined with Auto-Select, are very handy when navigating layer dense documents. What about vector strokes and fills? Currently there are no keyboard shortcuts for copying and pasting vector attributes. We'll have to right click in the layers panel to get to the menu command. Rectangle 1 has a vector stroke and fill applied. 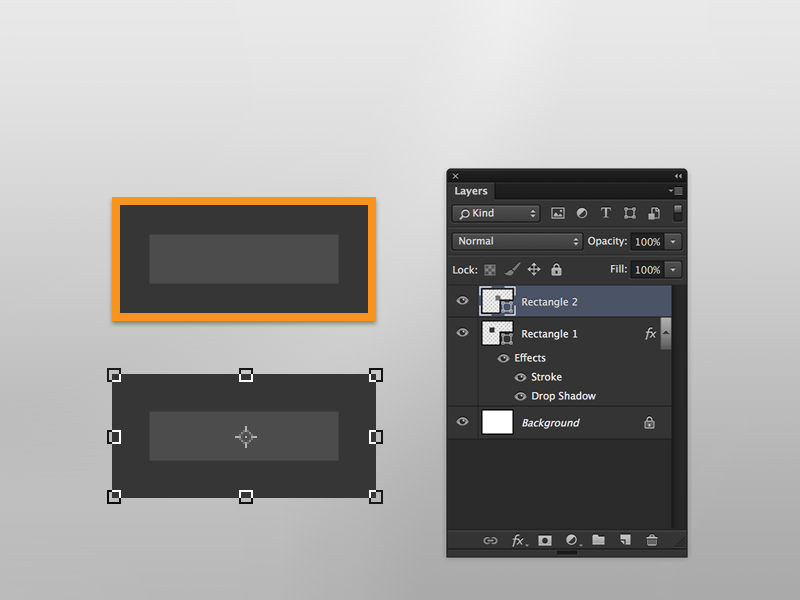 Top copy and paste those vector attributes to other layers, right click on the Rectangle 1 in the layers panel. 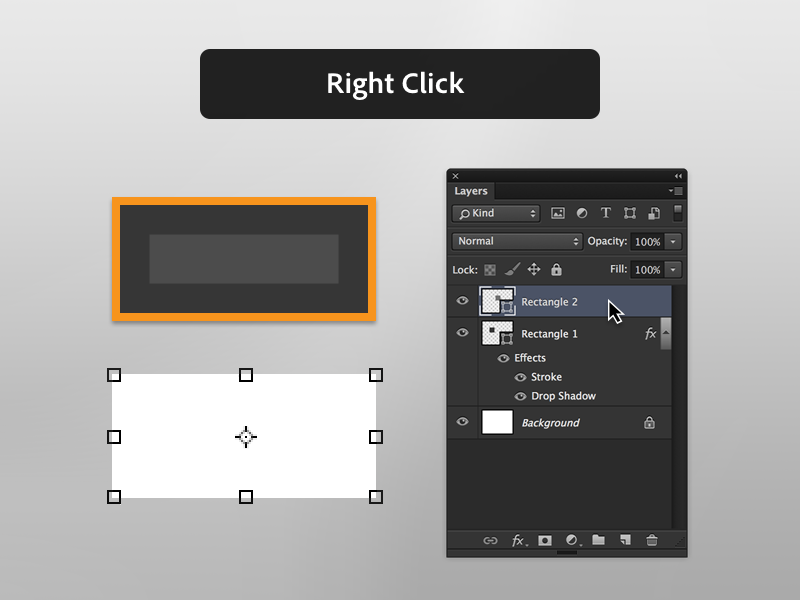 In the Layers Panel, right click on the vector shape with the fill and stroke to be copied. 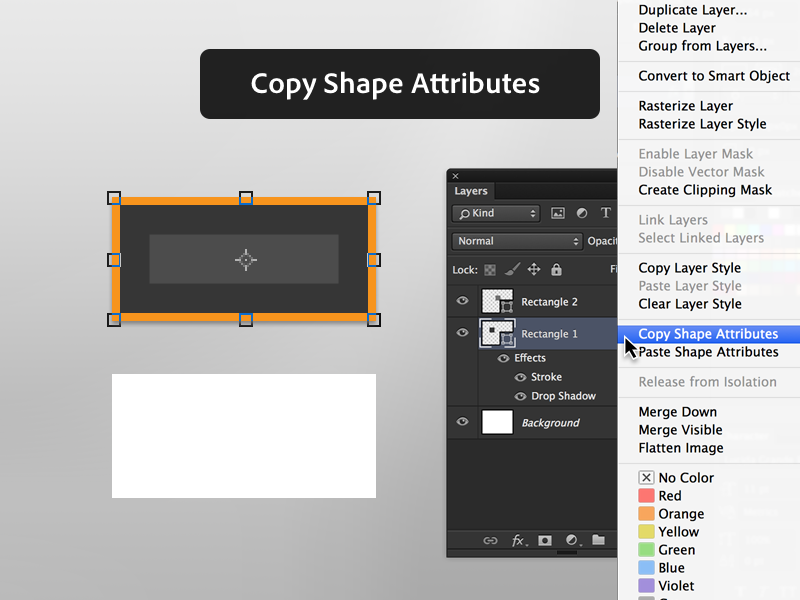 Select "Copy Shape Attributes" from the menu. Right click on the layer which you wish to apply the vector attributes. That layer will automatically be selected. Select "Paste Shape Attributes" from the menu. Both shapes now have the same vector fill and stroke. 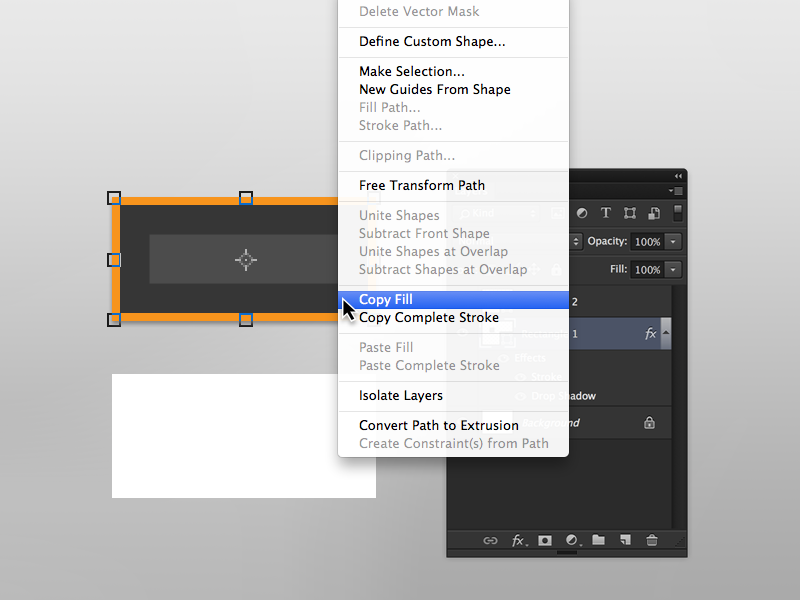 It's also possible to copy and paste only the stroke or fill of a vector shape. With one of the selection tools (keyboard shortcut = A), right click directly on the shape. The menu will now have "Copy Fill" and "Copy Complete Stroke" listed instead of "Copy Shape Attributes." Right click on the destination shape layer and paste.